This example of the very popular Zaffiro 34 from Cranchi is fully coded for charter with all regulations in date. 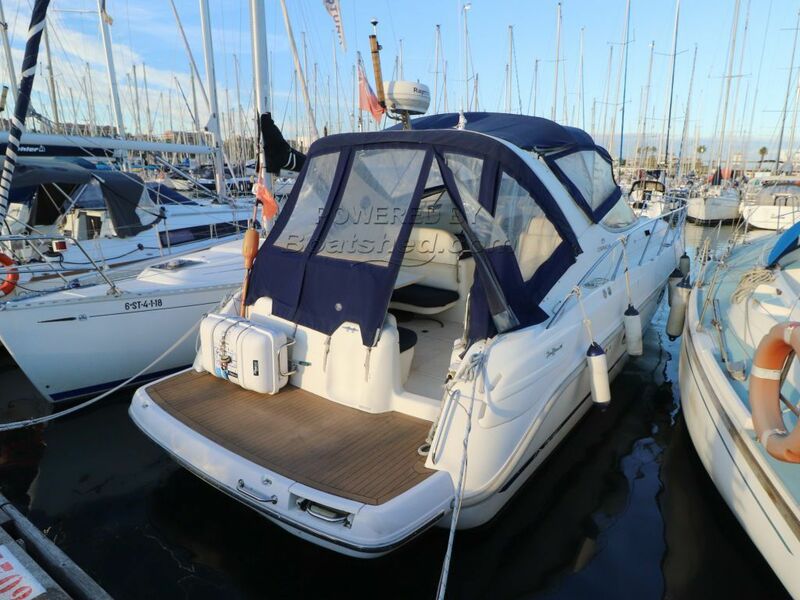 The boat has been regularly serviced and the outdrives were completely rebuilt in 2017. The Zaffiro 34 is still popular due to the level of space in the cockpit and accommodation below. Easy access to the deck can be from either side deck or through the opening front windscreen using the built-in steps. Powered by well maintained Volvo Penta KAD43's. British Registered although this is easily changed to a registration of your choice. This Cranchi Zaffiro 34 has been personally photographed and viewed by Paul Griffiths of Boatshed Barcelona. Click here for contact details. Please note this comments section is public. Please do not post your personal details here. To enquire about purchasing this boat, please contact the broker directly at boats@boatshedbarcelona.com. Please read our commenting guidelines before posting. Golden Globe Race Awards £5000 Winner Prize from Boatshed Vivi Striped Jumper Up-cycled mooring rope ErgoFit+ lifejacket April 12th - 16th Boatbid Auction - Bidding Starts!